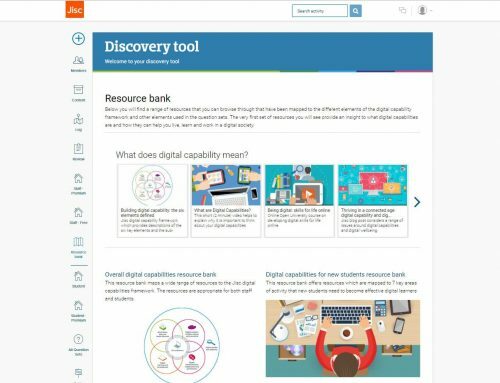 I just completed some work for Jisc with my partner Tim Gray to carry out a short review into how Human Resources (HR) departments support staff to develop their digital capability. The original intention was to capture a snapshot of current practice through a survey and interviews. 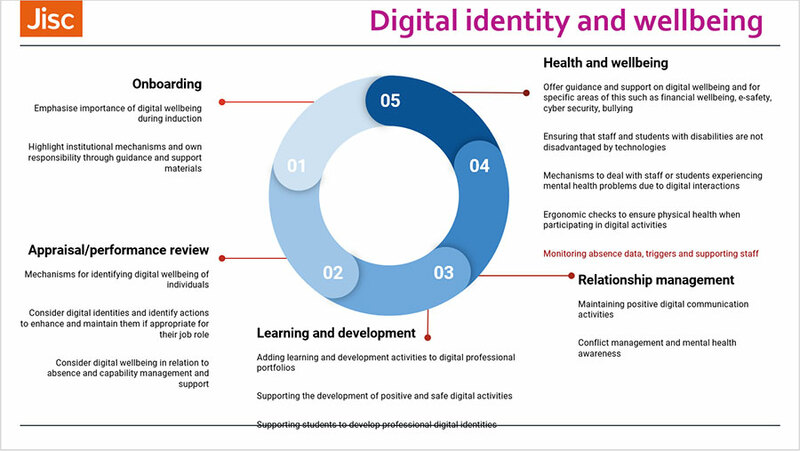 HR teams in FE and HE institutions work across several areas of the Jisc digital capability framework, often in partnership with other teams within their institutions. During our study, we found significant variations to the questions about HR team involvement in the 6 core digital capability areas. 90% of respondents said they were involved in supporting ICT proficiency of staff, but only 50% said they were involved supporting staff with information, data and media literacy, digital communication, collaboration and participation, or digital learning and teaching. 84% said they were not involved in digital creation, problem solving and innovation and 58% said they were not involved in digital identity and wellbeing. Many HR teams in universities or colleges are beginning to join with institution-wide initiatives to improve staff and student digital capabilities. It can be difficult for HR departments to define which elements of digital capability fall within their remit. 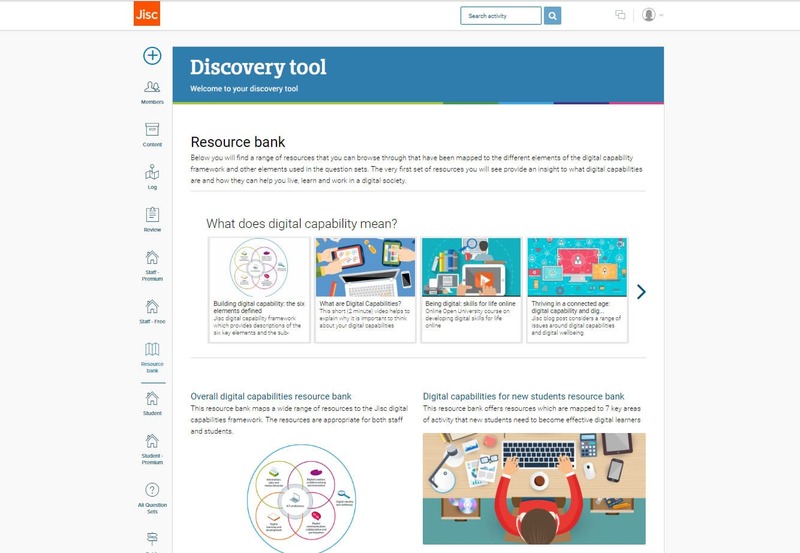 Jisc has produced several tools and resources to support institutions with this work but we felt there was a need for practical materials to help HR teams map their various activities (often split into specialist sections) to the digital capabilities framework. HR departments cover a range of activities including recruitment and selection, onboarding, appraisal/performance review, learning and development, relationship management and health and wellbeing. Human Resource staff need a range of digital capabilities to effectively carry out their work, as data management, analytics, sophisticated institutional systems and the impact of social media have transformed how people work. 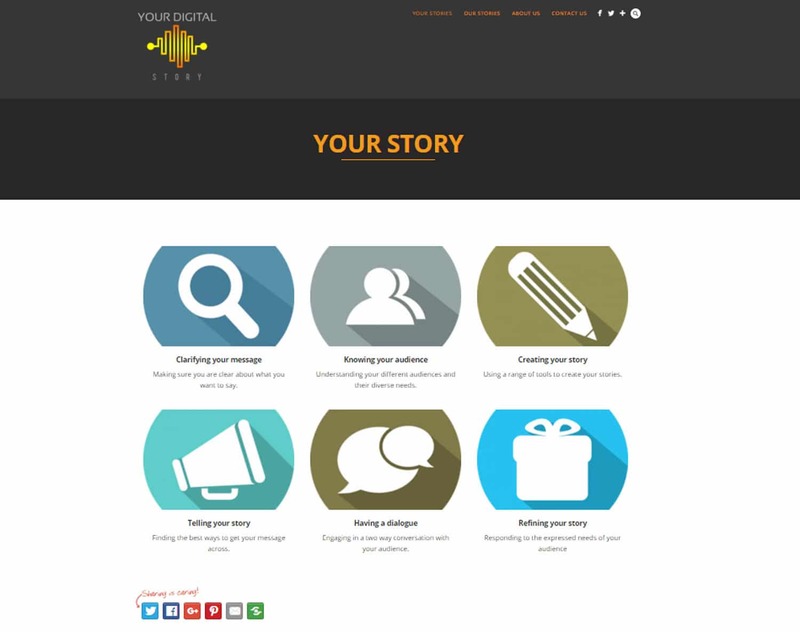 We produced two sets of powerpoint slides to help HR teams engage with the Jisc digital capability framework. Thanks also to Abi Mawhirt, Head of People and Organisational Development at Dundee and Angus College who worked with us to refine these slides and to make sure we did not have any serious omissions. The slides can be downloaded from the jisc blog or you can use the links below. This set maps HR activities and roles to the Jisc digital capabilities framework. It highlights where HR teams can input to institution-wide approaches to staff digital capabilities and offers some suggestions for activities where they could get involved. Some of these areas involve other teams and would encourage HR input to support teams leading on a particular area. This set offers a view of HR activities through the Jisc digital capabilities framework. Each area of HR activities is mapped to the 6 key elements of the Digital capabilities framework and highlights where HR teams can impact on digital capabilities of staff (and to a lesser extent students). 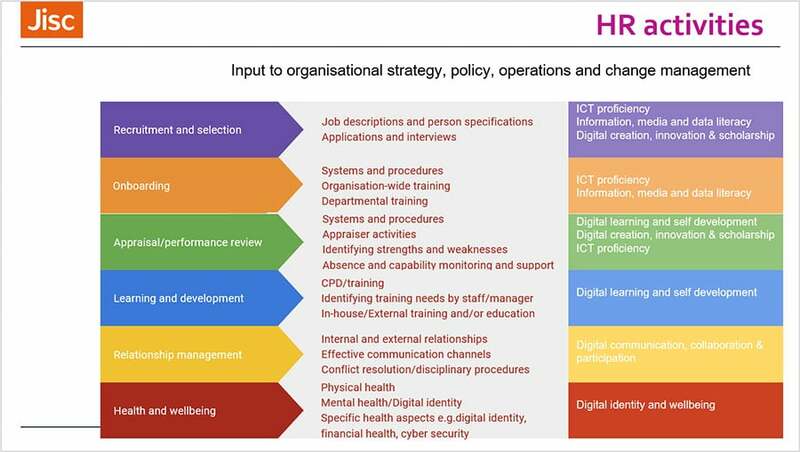 We have also highlighted those activities that relate to digital capabilities of staff in HR teams. We also produced a brief pdf document offering suggestions for how they might be used. 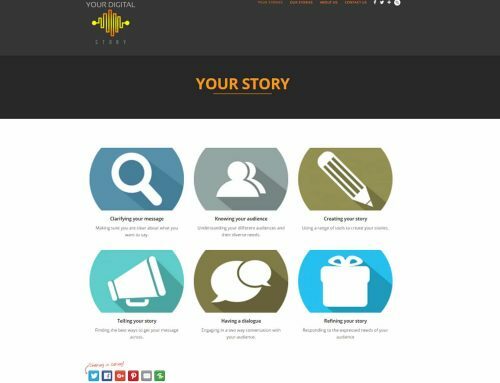 We hope to get some feedback about how useful the slide sets are so that we can adapt or enhance them. Link to a brief survey.